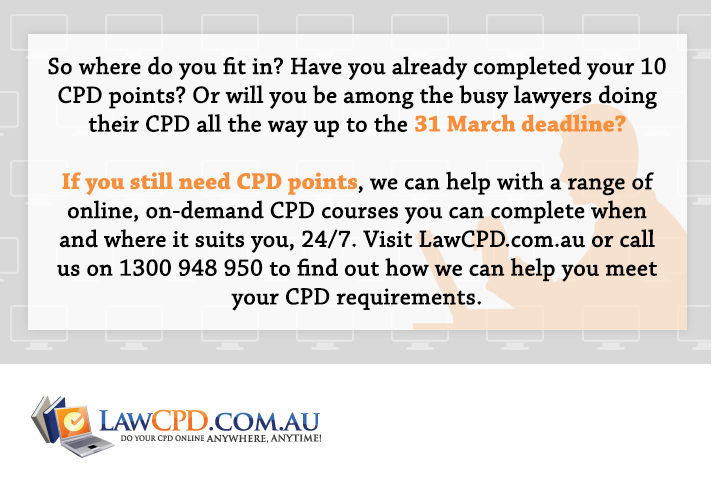 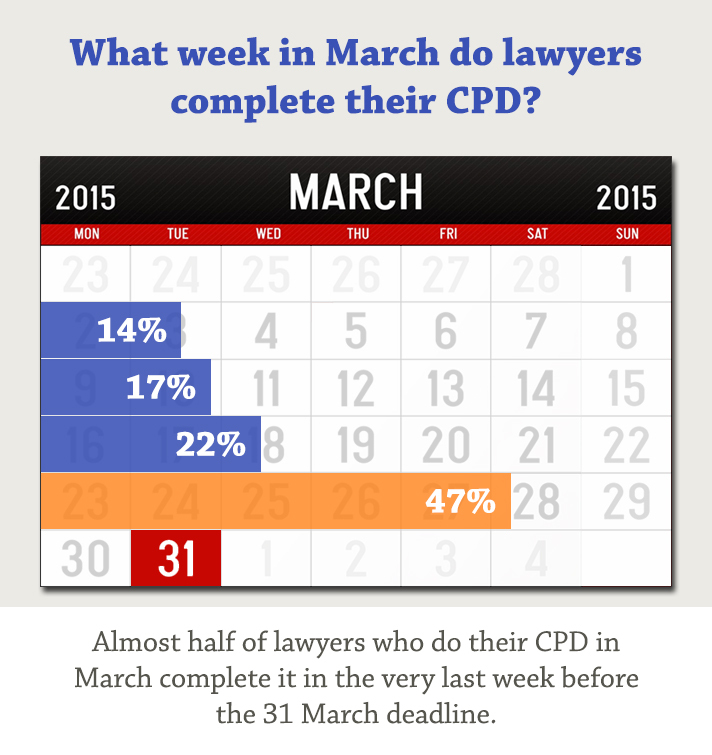 When do lawyers find time to do their CPD? 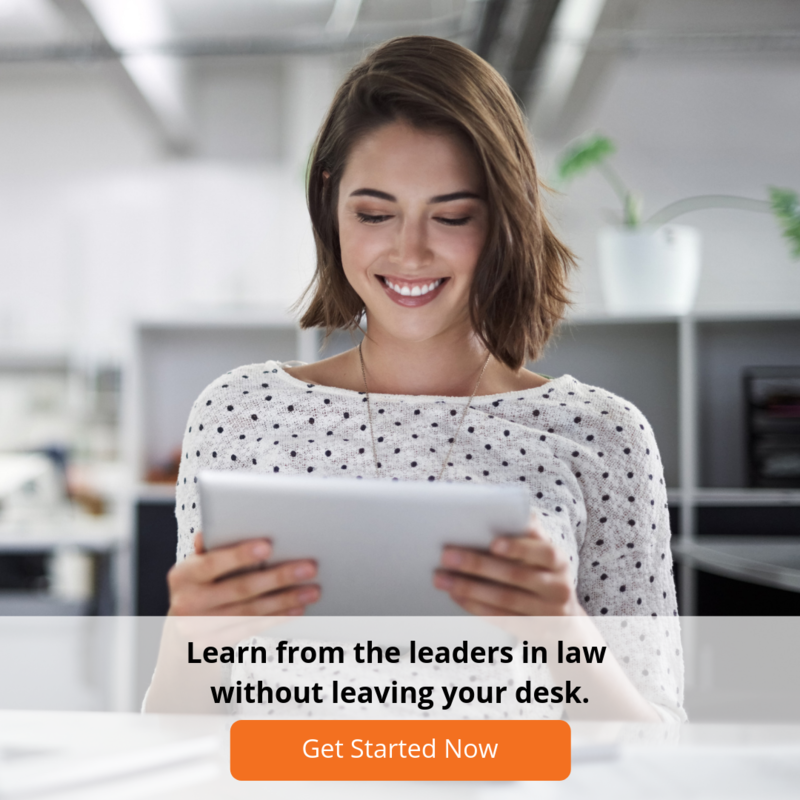 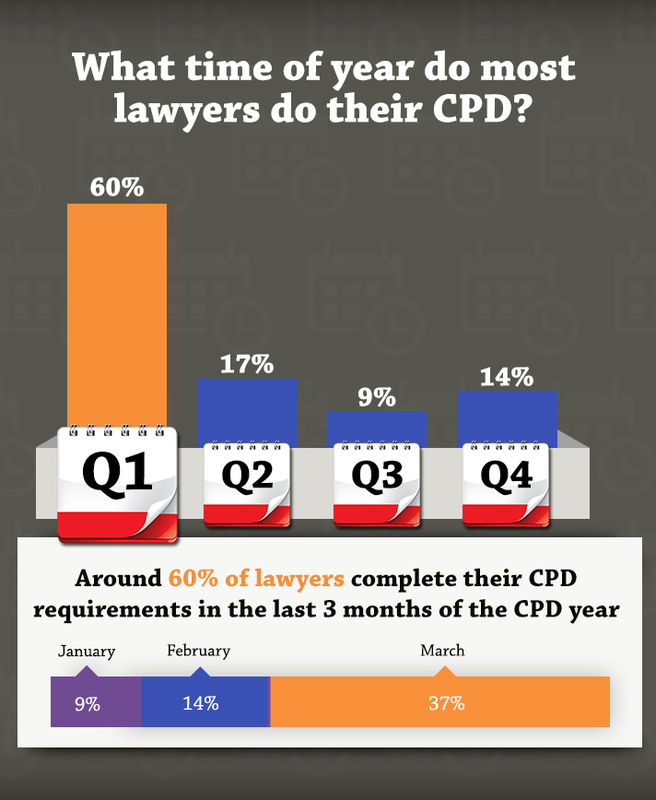 With the end of the CPD year fast approaching, we thought it would be fun to take a look at when lawyers really do their CPD. 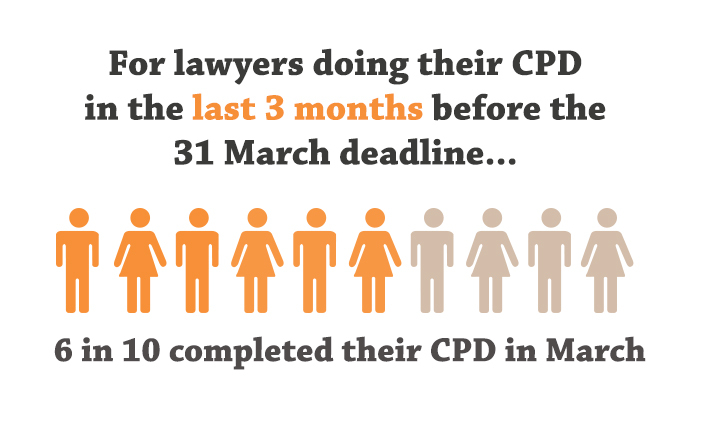 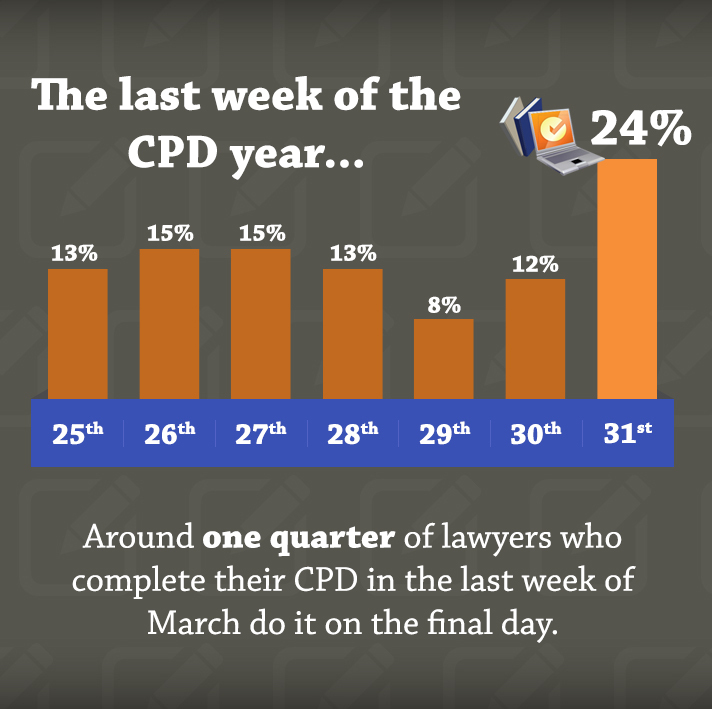 Our latest infographic explores when lawyers actually completed their CPD in the 2013/14 CPD year. 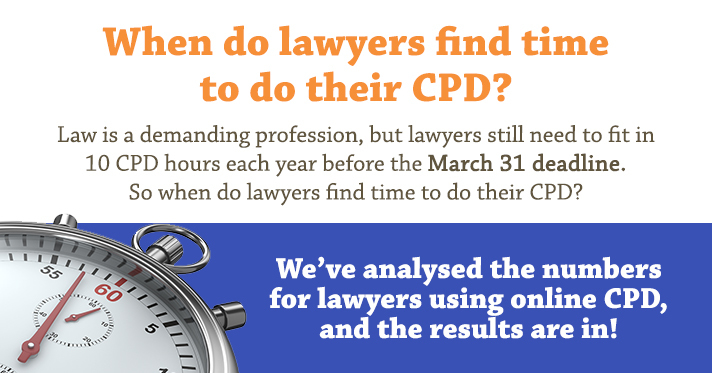 The results may surprise you! 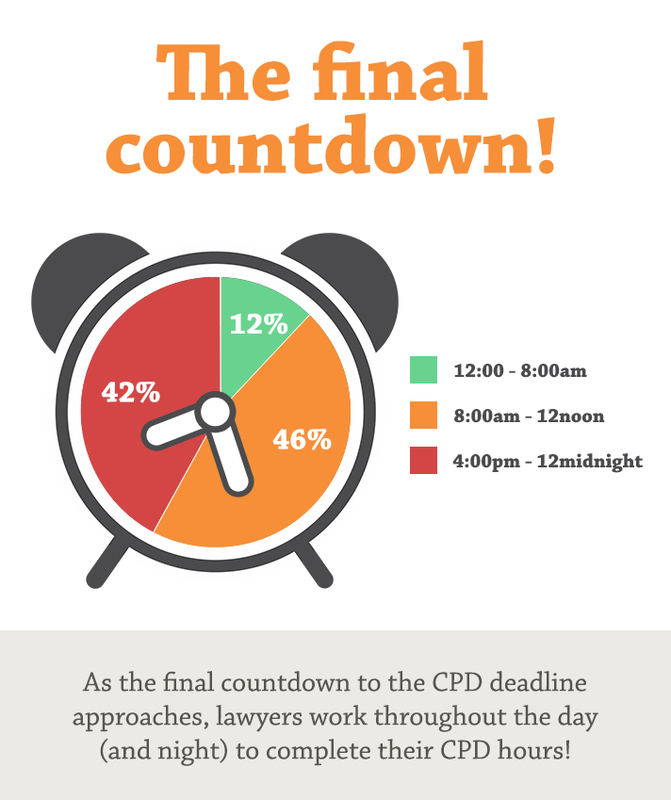 Check out the infographic below and find out how you compare to your colleagues.